I thought some of you might find this article of interest. At Apple’s iTunes online store, Britney Spears and Shakespeare are separated by just a few clicks. While an episode of “Desperate Housewives” will cost $1.99, a series of lectures by renowned University of California-Berkeley philosophy professor Hubert Dreyfus is absolutely free. 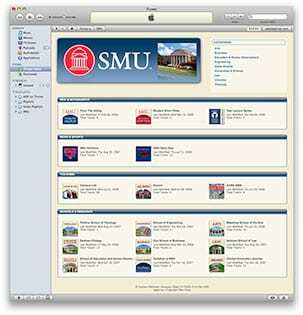 To visit SMU’s iTunes U site, click here. To see what else is available, try here. This entry was posted in iTunes U and tagged apple, britney spears, free, Hubert Dreyfus, itunes, itunes u, lectures, podcast, shakespear. Bookmark the permalink.